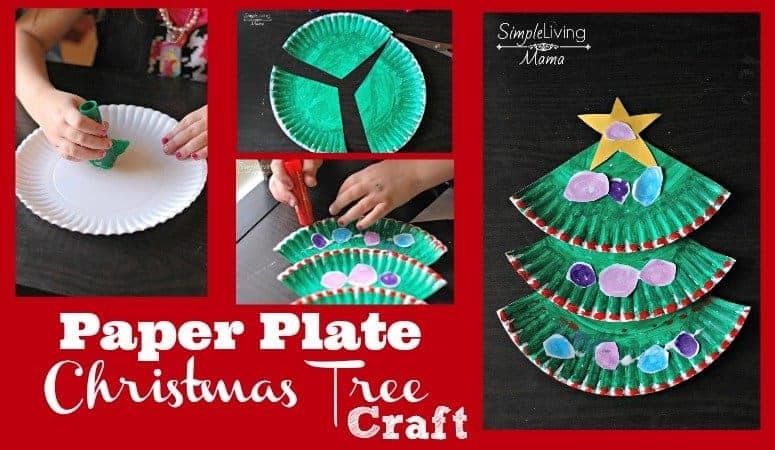 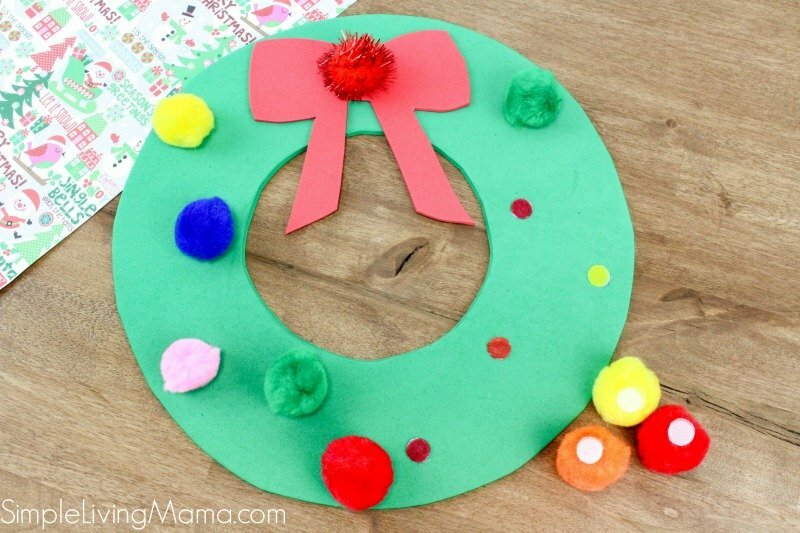 With the Christmas season here in full swing, I thought it would be fun to come up with some Christmas activities for my preschoolers. 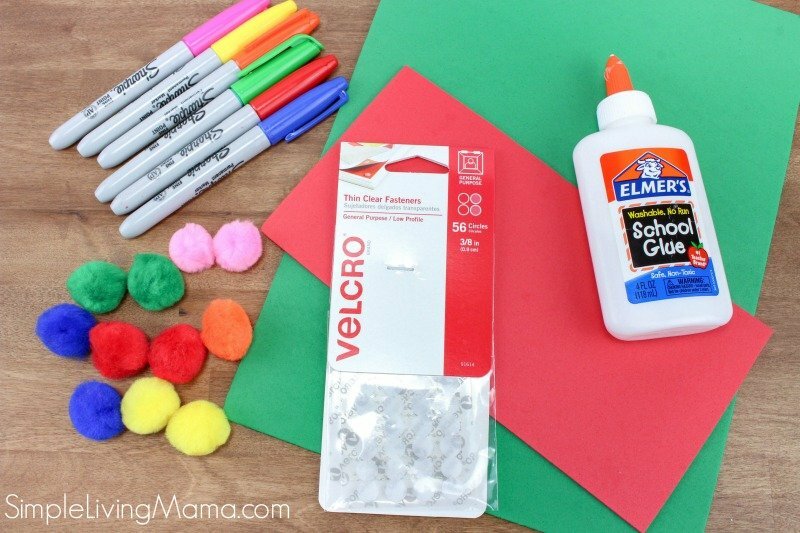 My two little preschoolers have really started enjoying “school” while their older brother and sister work at the table, so small activities they can do during that time really help us all. 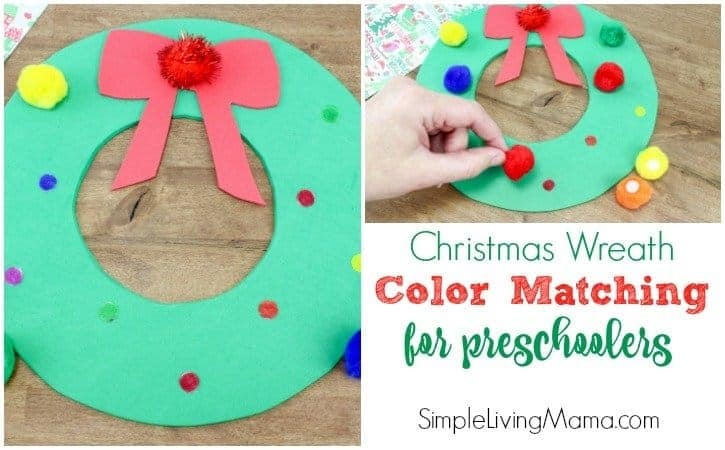 This Christmas wreath color match game for preschoolers is pretty easy to put together, and fun for preschoolers. 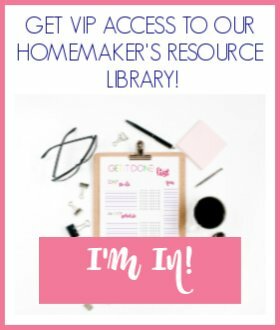 First, you’ll need to gather your supplies. 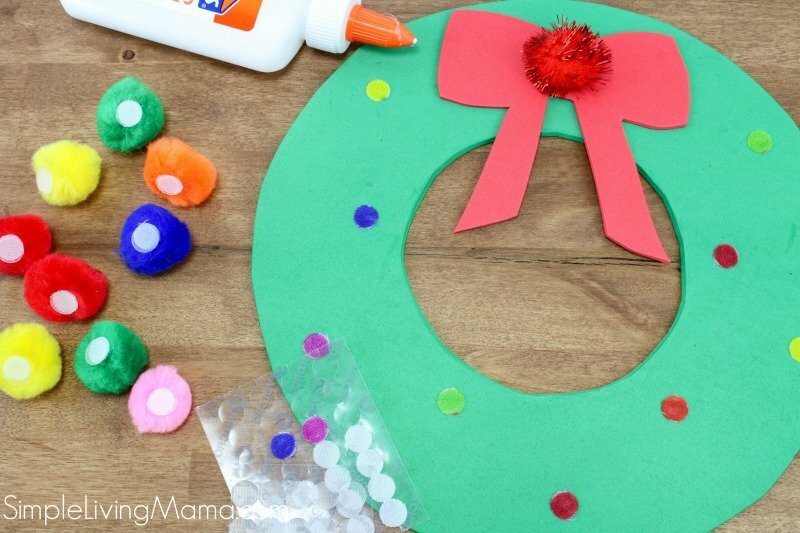 Cut out a large wreath from the green foam. 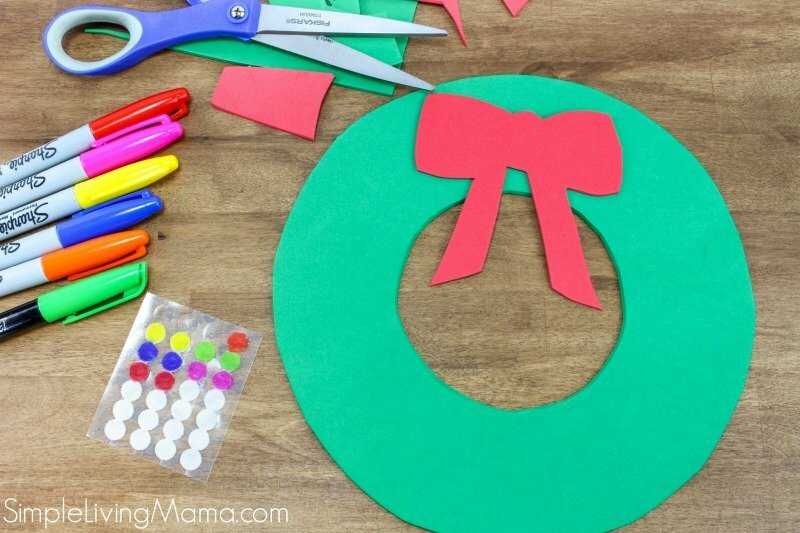 Cut out a red bow for the wreath, and glue it on. 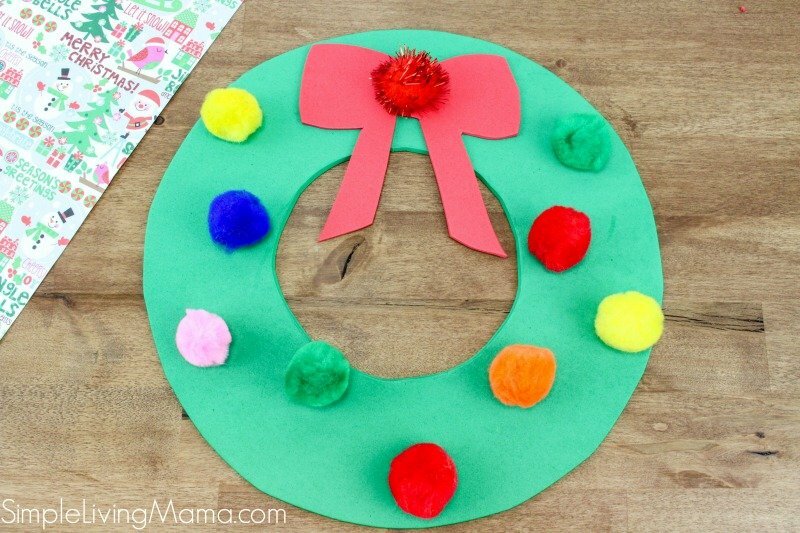 Color 10 Velcro tabs using different color markers and stick them all over the wreath. 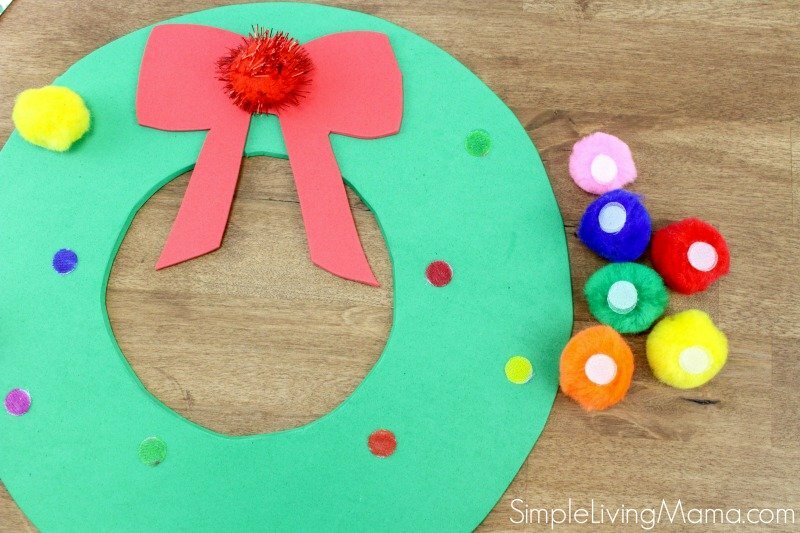 Take the same color of poms that will match the colored Velcro tabs you stuck on the wreath, and stick one plain Velcro tab onto each one. 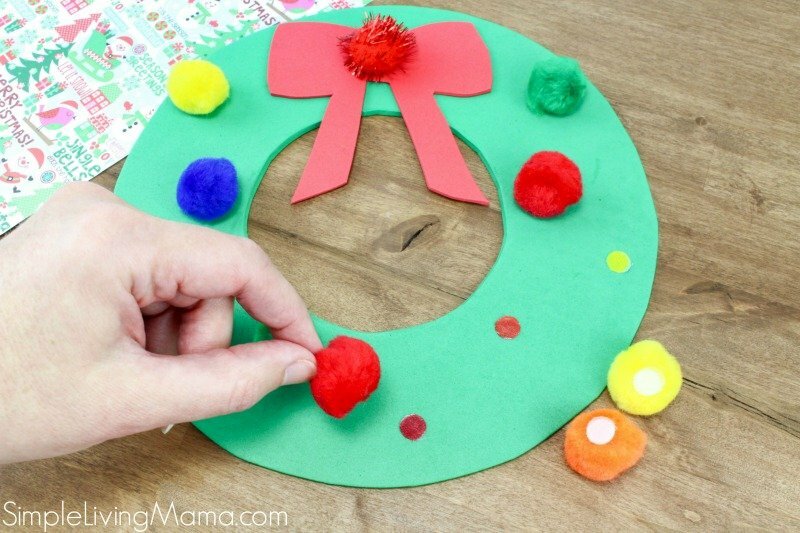 Match the poms to the same color Velcro tab on the wreath. 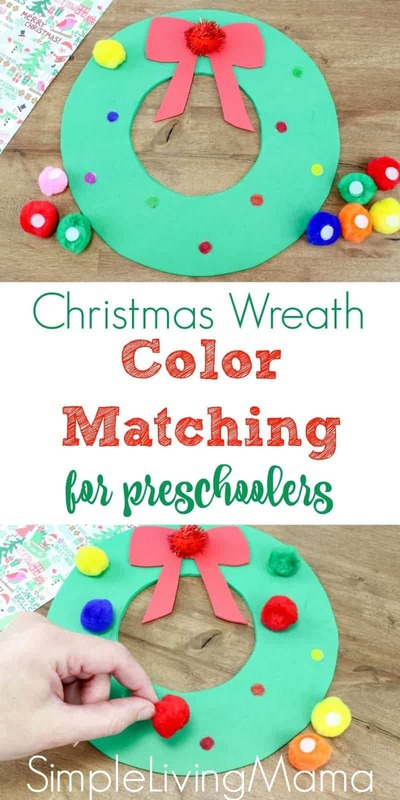 This is such a fun and simple activity for your preschoolers, but will help them work on their matching skills and also help them learn color names. 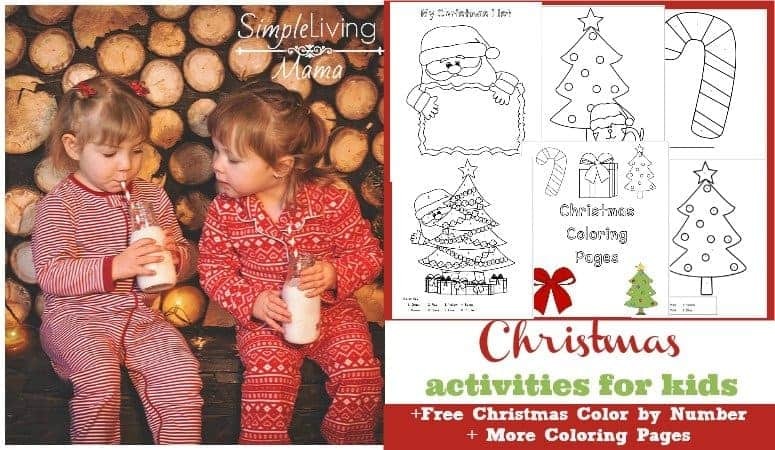 My two year old REALLY loves doing color matching games right now. 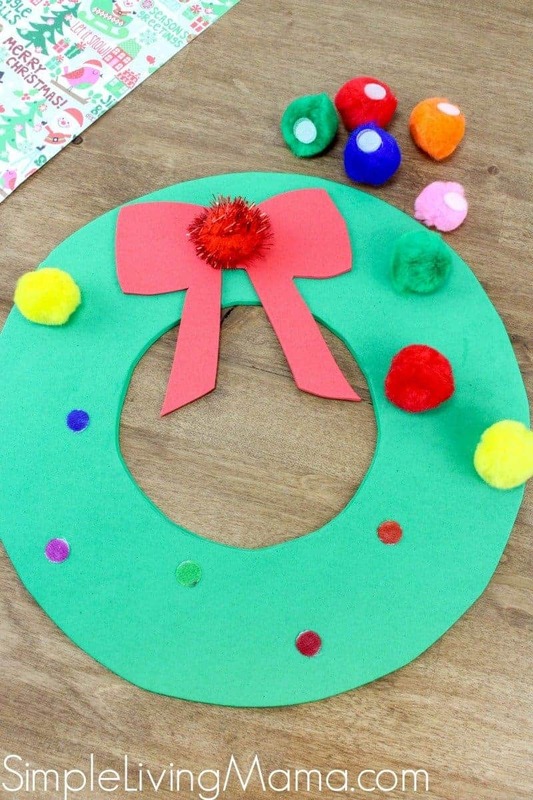 I think that is the perfect age for this activity, of course, use discretion. 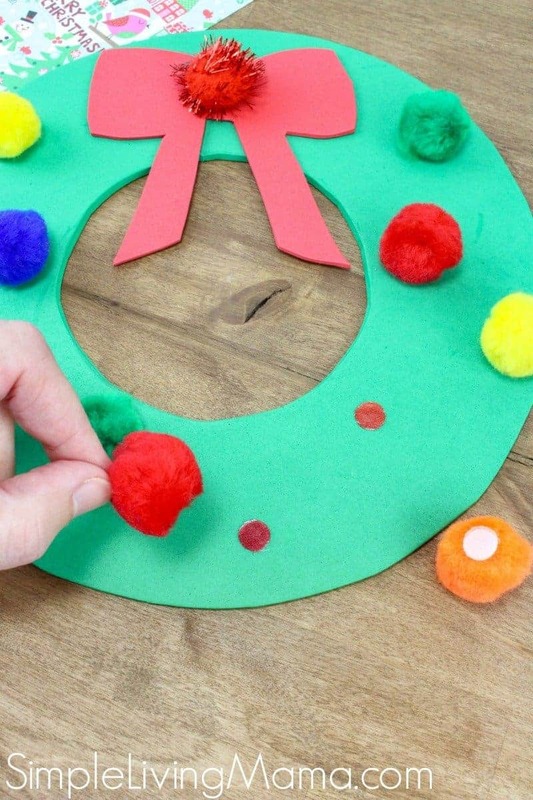 If your child is still putting things in his mouth, wait a little while until he isn’t. 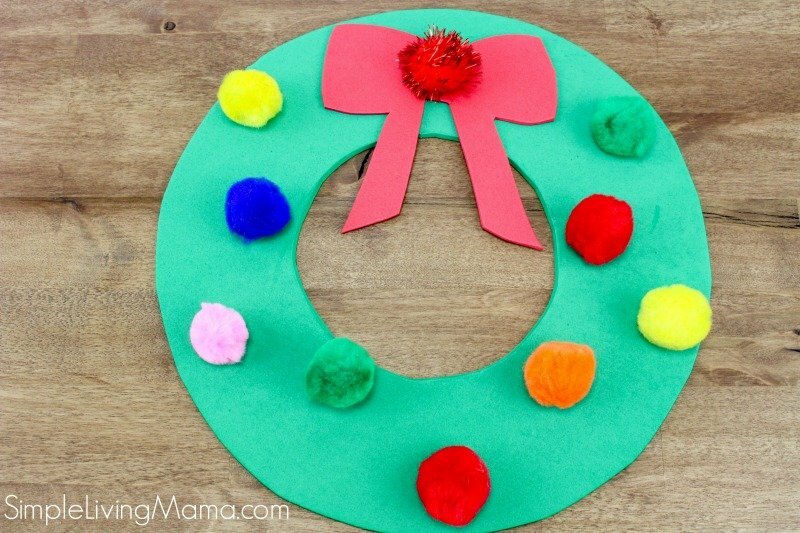 My five year old noticed how the wreath looked like it was decorated with ornaments once we put all of the poms on. It was a fun little game for them!